How do you view recruiting technology today….do you use any sourcing or other tools to find talent? ATS? Onboarding tools? Linkedin open rates? You go a step further with creating a “job value proposition”...what is that? 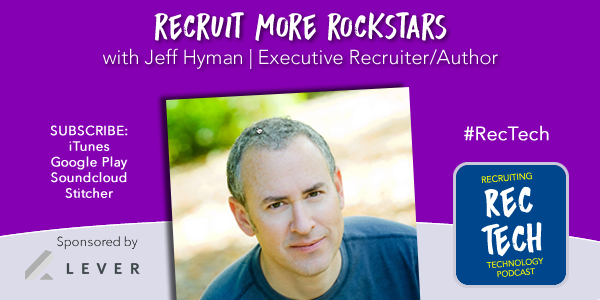 How do you spot a great recruiter? What are some of your favorite questions to ask candidates?